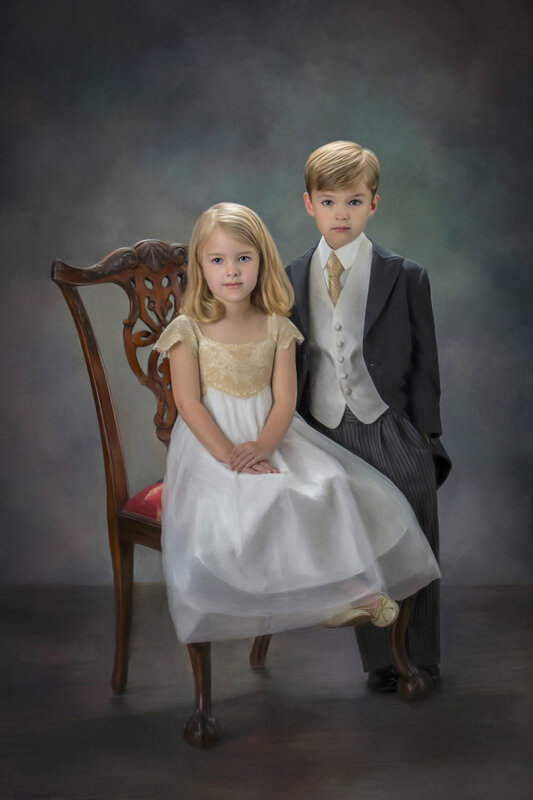 As a distinguished studio, our background and lighting are tailored to render your portrait as a timeless work of art. This will be the most elegant and meaningful portrait you may likely have in a lifetime. 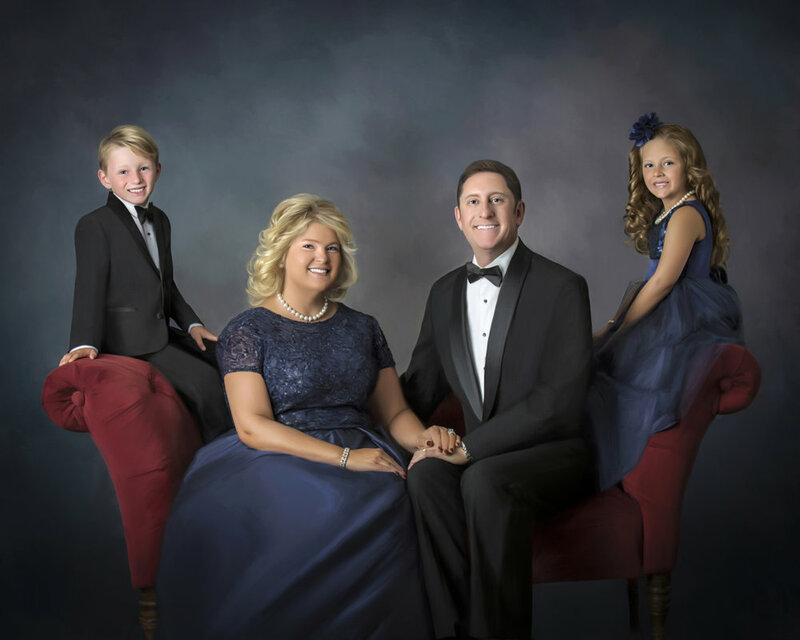 You want to timelessly capture the joy and love of your family. Styles change and clothing can draw attention away from your face, the most important aspect of your portrait. 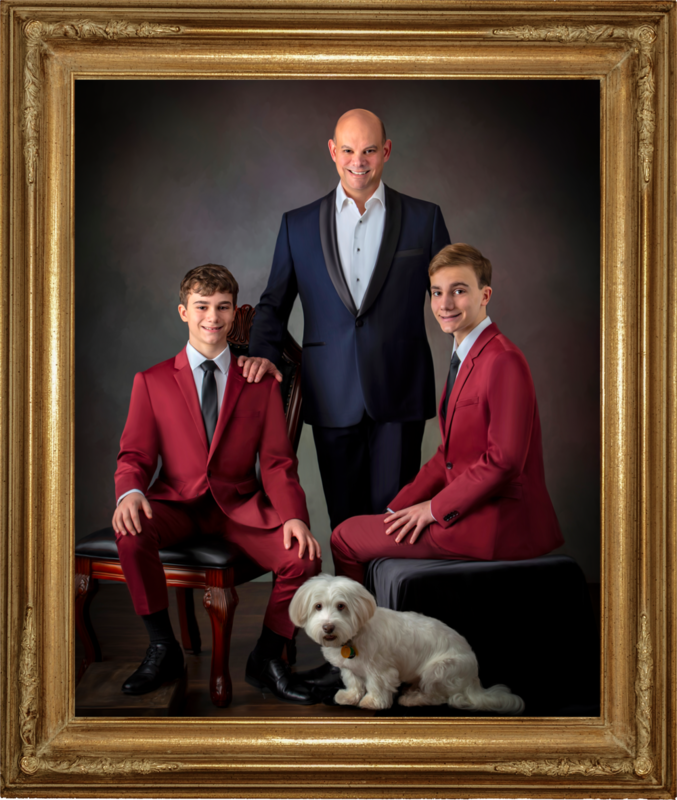 For the best results, we suggest you dress formally in dark or jewel toned colors to ensure your portrait stands the test of time. 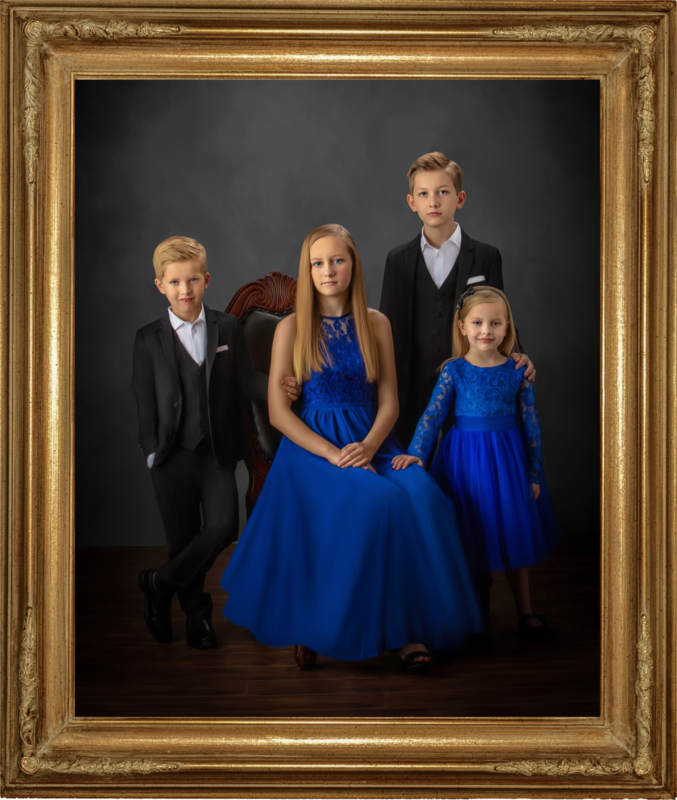 Detailed recommendations for attire will be sent by email once your portrait session has been scheduled. We are also available by phone for guidance regarding attire.